Additional arguments passed to the plotting geom. Ignored, required for compatibility with the plot() generic. This function requires some optional dependencies. 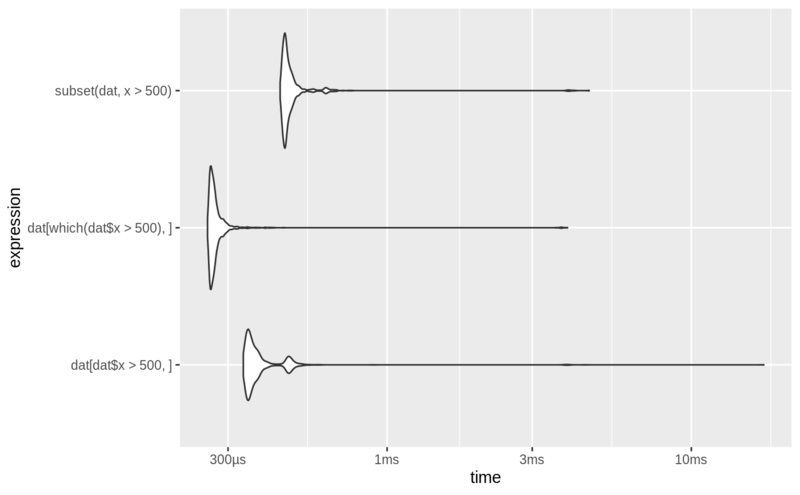 ggplot2, tidyr, and depending on the plot type ggbeeswarm, ggridges. For type of beeswarm and jitter the points are colored by the highest level garbage collection performed during each iteration. For plots with 2 parameters ggplot2::facet_grid() is used to construct a 2d facet. For other numbers of parameters ggplot2::facet_wrap() is used instead. # ordering factor levels in the expressions.